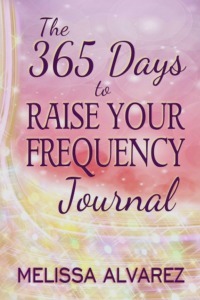 Keep a daily record of your frequency journey over the course of a year. Write down your progress now and look back upon it in the future to remember where you’ve been and where you’re going in raising your frequency. Include the exercises as you practice to eliminate negativity, attract positivity, and connect with your core spiritual self. Keep a record of your results and the new happiness and abundance you’ve brought into your life by raising your frequency. This keepsake frequency journal has an easy to fill-in format with prompts including the date, the frequency exercise you practiced and thoughts about the results achieved. Includes lined writing pages for your inner reflections along your spiritual journey as you elevate your personal vibration (frequency). 5″ wide x 7″ high; fits in most purses, backpacks, and totes. 365 lined journal pages with prompts.